After Hamburg (in french), Freiburg and Madrid, I decided to take you to Vienna! I announced it last month on my last Lama Diaries (but in French, sorry…), I went to spend 5 little days in Austrian capital! Just back from those short holidays, I wanted to share my discoveries and good spots before leaving to a music festival… I wanted to create a little video for this trip to Vienna but my phone decided to stop working when it’s more than 25°C… Not very practical for the blog but excellent for a small digital rehab. Nevertheless, I managed to take some pictures to share with you 🙂 Here we go! Before leaving, I have to admit that I never thought I will travel to Austria. I did not know what to expect or what to do there. So, when our friends invited us to attend an Empress Sissi style wedding in a castle in the mountains, I couldn’t refuse! The wedding was scheduled for Saturday and we arrived in Vienna on Thursday afternoon to return Monday night. We chose to stay in two different Airbnb (at two different locations in the city) and to be free of any plans because my favorite way to travel and to discover the true personality of a city is not to organise anything. I think I would write an article further on the issue soon but I’m a real fan of slow travel  Our program: Wander, enjoy and relax! 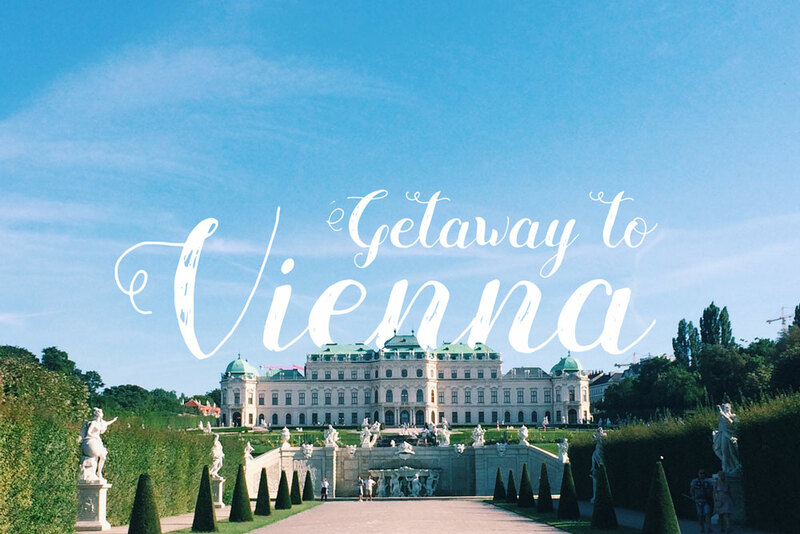 You have understood, this little Vienna guide will be under the sign of relaxation. Saint Nicholas Cathedral of Vienne. Not so bad, right? Soon we realized that Vienna was really big and that the 25°C/30°C + walking all day was going to kill us. We decided to rent bikes during our stay (with some exceptions when it was too far or when I was close to death). Vienna is riding on the green wave/bobo style and offers great bike rental system at a small price via CityBike Wien. There are rental stations everywhere in the city, the bikes are nice and decorated! Using your bank card, you can register on the website of the service or at a bike terminal for 1€ (cheap). The first hour of use is free (super cheeaaap), then you pay 1€ per additional hour. It’s really rare that you make more than an hour of biking continuously, so, we rode all weekend for 1€! Vienna is a relatively bike-friendly city, there are many routes for cyclists (and a ring for cyclist which circles the city) and even areas only for cyclists and pedestrians. In general, drivers run OK but I almost died two times anyway, so be careful! In general, I try to avoid the crowd and touristical places because I find it a little draw and I really didn’t want to lock myself in a museum or a church… In fact, it was 33°C the day we arrived and the good weather stayed with us until we left! So, I spent 5 days in shorts and playsuit (real life) and, armed with my bike and my water bottle, I went to discover some essentials of Vienna. Belvedere Palace: Built between 1714 and 1723, this small household this palace is an indefinable beauty. This is where the treaty of independence of Austria was signed after World War II, in 1955. Today it’s a museum and a beautiful park in which is delightful to walk around and hang out. The museums quarter of Vienna: As one of the largest cultural complexes in the world with 60 000 m2 (which is a lot), it is also one of the coolest places I’ve discovered in Vienna! The MQ is located in a great neighborhood with nice shops and cinemas (including the only bubble tea shop in all Vienna #cantlivewithoutit). Like I said, I didn’t want to visit a museum (it will be for next time! )… But we stayed all afternoon to drink homemade ice tea at the terrace, to do the idiots in photobooths, to speak and sleep in the sun. Perf-fect! Go to see the Danube – Eat one Apfelstrüdel in a typical coffee – Bike around by night – Go to Haydn Cinema to see and English movie – Discover the Naschmarkt and taste as many things as possible – Chill at the Volksgarten – Party at Schwedenplatz – Pass by the Zoo of Vienna – Visit tons of museums – Drink a bubble tea – Take the train and go to see the mountains – Enjoy! Find me on Twitter, Facebook or Instagram.